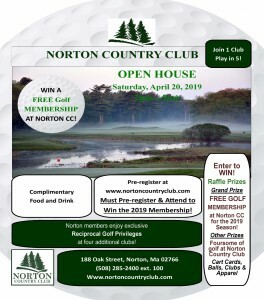 At Norton Country Club, our professional staff members are here to assist with all of your golfing needs. Be sure to come see our new and improved Pro Shop! We are open from 7:00am until 7:00pm during the golf season. The staff is knowledgeable and can answer questions regarding memberships, tournaments, handicaps, fees, products, services and general golf information. Our mission is to provide exceptional customer service and competitive pricing! We look forward to a great golf season! Equipment, Products and Clothing available in the Pro Shop throughout the Season. Special orders can be placed if an item is not in stock.